Michael Stahl is living the aspirational life of the Robb Report reader. 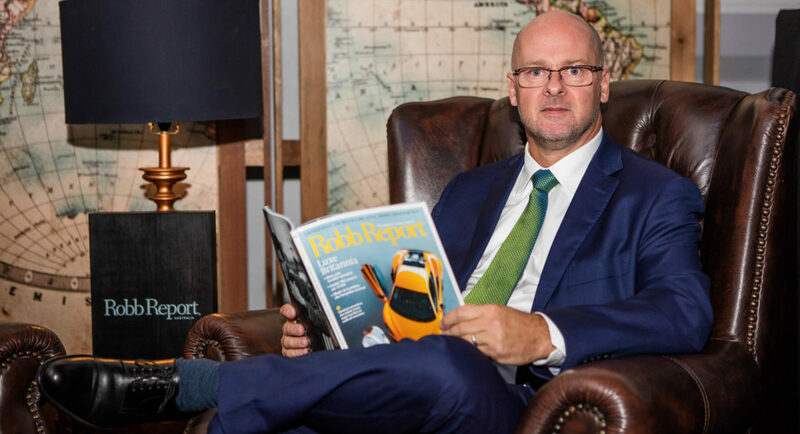 As Mediaweek caught up with the editor of the soon-to-launch Australian edition of the luxury lifestyle magazine, Stahl was apologising for feeling jetlagged. Just back from holiday, Stahl has just spent the last few weeks visiting Sardinia and France where the week before he was at the Le Mans Classic. 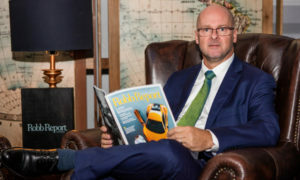 The launch of Robb Report Australia will be the 17th international edition to be spun out of the original US magazine, recognised as a global destination for news and information on finely crafted cars, private aircraft, timepieces, travel, and lifestyle accoutrements that embody craftsmanship and authenticity. It bills itself as the “international authority on excellence”. In Australia the magazine will be a quarterly publication, first hitting the stands in October and then January. 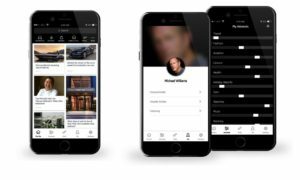 A website and social assets will be timed to launch with the first issue, with an iPad edition expected in April. Initially starting as the sole editorial staffer, Stahl has hit the ground running, starting in the job officially on Monday. 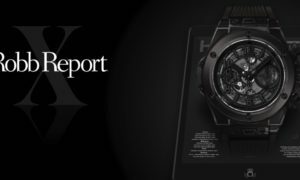 While tasked with putting together the 200-page first edition, he is also winding down other writing and editorial commitments to focus purely on Robb Report Australia. For Stahl, the opportunity to work on the magazine came at the right time. Sort of. “They signed on an editorial production team, marketing and events, and then realised they needed an editorial person. When I was told the timeframe was starting in July, I said that was fantastic as it timed up with my return from holiday. Then I realised all the copy deadlines will be mid-August,” he said laughing. Working with Stahl will be the magazine’s production team, which is handled by Freya Purnell and Justin Knights at FlapJack Media. “They were approached before I came on board to do the production side of things. It was then realised they needed someone with automotive, watch, and luxury/lifestyle experience to oversee all of that,” Stahl revealed. Joining Stahl on editorial for later editions will be several part-time and freelance writers, carefully selected for their experience. “We have Georgina Safe, who is coming on board as our fashion and grooming contributor. Georgina has been a fashion writer for 20 years or more and writes for Monocle and Harper’s. Christian Barker writes watches and men’s fashion. He’s based in Singapore. I wanted a watch person in Singapore as it’s a great hub internationally and he has his finger on the pulse of what is coming to Australia. Joanna Saville will be our dining contributor. Chris Morrison, who was the sommelier at my brother in-law’s restaurant, has a lovely, technical, and yet interesting way of writing about wine,” Stahl said of his incoming editorial team. While Robb Report has not been widely available in Australia, the magazine’s US edition does have a couple of hundred subscribers in Australia. Stahl, himself, hasn’t always had regular access to the magazine. “When I was living in Paris from 2000-04, it was one of the magazines that every month I would go up to WH Smith and just gorge on Anglophone magazines. 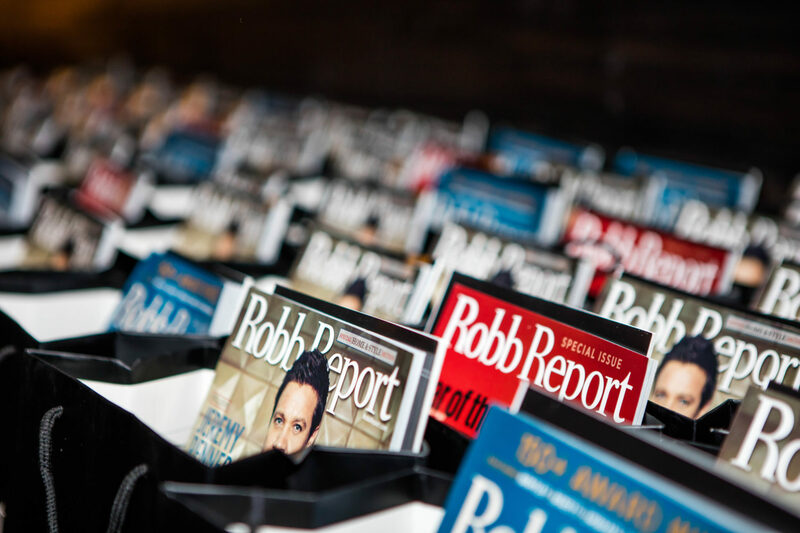 Robb Report was one that I’d pick up about every third issue, depending what’s on the cover. Like a lot of people in Australia, I picked up copies when at an international airport. I was fairly familiar with the brand,” Stahl said. The brand proposition occupies an interesting space within the market. With its focus on high-end luxuries that are well out of the reach of most Australians budgets, it may be difficult for the magazine to find footing locally in Australia where there is a strong egalitarian attitude. This has been an issue firmly in mind for Stahl, who was wary of that when first accepting the job. He believes, however, that it just requires a slight shift in the editorial direction of the Australian edition. Robb Report Australia will be built around appreciating the build of its featured products and not the status. “Wealthy people that I encounter are generally not showy or elitist. Nobody likes rich wankers. But how can you dislike somebody who is passionate about something and has a collection of 12 Porches because it’s something they are really into? People like that usually have a great story to tell. “It’s been an interesting exercise from the beginning when I was looking through the US media kit and was thinking it was all a bit Blake Carrington. I was thinking it wasn’t how we [in Australia] do it. My role here is to make this a genuinely Australian Robb Report. I have an appreciation for the engineering, the craftsmanship that goes into design. It just happens that luxury things have more of a story,” Stahl explained.